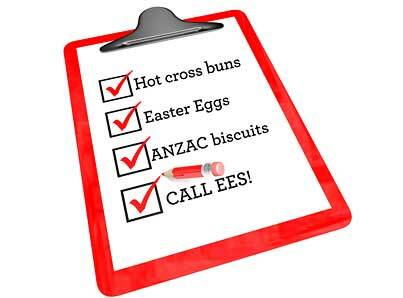 Easter will soon be upon us, and with Australia honouring ANZAC Day in the same week, we want to remind all importers of ways to avoid additional costs and time delays. We’ve made a checklist to make it simple for you. Advise EES ASAP of your opening hours during these breaks along with any emergency contact details. All customs documentation must be provided to us at least five days prior to vessel arrival. Original bill of ladings / telex releases must be presented as early as possible. Advise EES of empty containers immediately to allow the transport operator plenty of time to return the container. Following the above list will lessen your chances of delays and additional costs to your cargo. If you have any further questions please contact Brian Hack or Glenn Hack.